2017 CLINTON COMMUNITY YARD SALE!!! 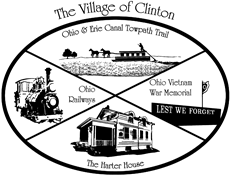 VILLAGE OF CLINTON NIGHT AT THE RUBBER DUCKS!! THE ODDS WERE EVER IN OUR FAVOR -- CELEBRATE, WE DID!!! Each standing committee of the Village (including Planning) shall hold three regular standing meetings each calendar year. Meetings should be held on Tuesdays before full Council meetings. No standing committee meeting shall be scheduled on the day of the first regular Council meeting of the year, the day of the last regular Council meeting of the year and the first Tuesday in July. Standing meetings can be canceled or re-scheduled as determined by the chair of such committee. Special meetings of such committees can be scheduled and posted as needed.